Eddie Bedford, Naperville Township Supervisor, will hold three forums to discuss the Road District Referendum. “On January 1, 2018 Public Act 100-0160 became law basically stating that a township can absorb the road district’s debts and assets and eliminate the road commissioner position through a referendum. 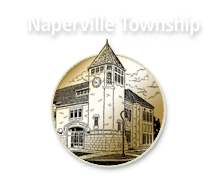 On January 8, 2019 the Naperville Township Board of Trustees voted 5 to 0 to place a referendum question on the April 2019 ballot. We are holding informational meetings on January 30, February 21 and March 11 at the Naperville City Municipal Building Council Chambers beginning at 7:00 pm. Click here for the public notice.